Blazek & Vetterling has a passionate, collaborative team with diverse interests. We are fortunate to have achieved an excellent track record in staff longevity as our team recognizes the benefits that staff continuity provides to our clients and to the integrity of our firm. In addition to providing professional accounting services to nonprofit organizations, our commitment to the community is very personal. Many of our partners, managers and staff members contribute substantial time, energy and financial resources to various causes and organizations. Whether it’s through teaching, volunteering or serving in leadership roles or on boards of directors, our Blazek & Vetterling team “walks the walk.” Our philosophy of service stems from our deep care and concern for our community and the insights we gain about the challenges facing nonprofit organizations. Jody’s accounting career has concentrated on nonprofit organizations for forty years. This focus began with KPMG when she studied and interpreted the Tax Reform Act of 1969 as it related to charitable organizations and the creation of private foundations. 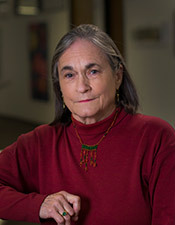 From 1972 to 1981, she gained nonprofit management experience as treasurer of the Menil Interests where she worked with John and Dominique de Menil to plan the Menil Collection, The Rothko Chapel, and other projects of the Menil Foundation. She returned to public practice in 1981 and was a founding partner of Blazek & Vetterling where she heads the tax department. 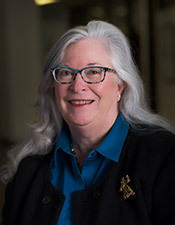 She is the author of six books in the Wiley Nonprofit Series on nonprofit law, finance, and management: Tax Planning and Compliance for Tax Exempt Organizations, 5th edition; Form 1023 Preparation Guide; Nonprofit Financial Planning Made Easy; Private Foundations: Tax Law and Compliance, 3rd edition and The Private Foundation Legal Answer Book co‐authored with Bruce Hopkins; and Revised Form 990 co‐authored with Amanda Adams. Jody is a nationally recognized authority on nonprofit organizations through her books, clients that she represents, and articles published in Exempts and The Exempt Organization Tax Review, where she serves on the editorial board. 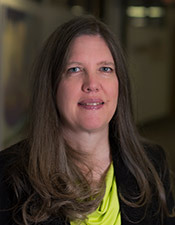 She has served on the planning committee and presented for the AICPA, University of Texas, Loyola Law, and Philanthropy Southwest Conferences, and other nonprofit symposia. As past chair of the AICPA committee, Jody participates in the initiation of tax policies with the Internal Revenue Service Exempt Organization Division. Preparation and review of numerous Comprehensive Annual Financial Reports that have been awarded the Certificate of Achievement for Excellence in Financial Reporting. Served governmental clientele including various municipalities, governmental component units, and counties. Experienced with governmental and not‐for‐profit audits requiring federal and state compliance with Government Auditing Standards and OMB Circular A‐133 with expenditures ranging from $500 thousand to $250 million. Experienced in examining complex transactions such as interlocal agreements, capital project expenditures, and other specialized governmental transactions. Offers guidance to clientele regarding complex federal program compliance requirements. Additional experience includes evaluating control procedures and reporting on issues noted, managing complex federal program audits, presentation of information to upper management and those charged with governance. 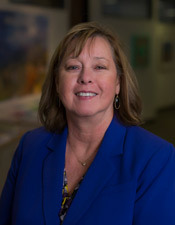 Bonnie joined Blazek & Vetterling in 2004 after spending approximately four years with Grant Thornton and Arthur Andersen in their Houston audit services departments where she advanced to audit manager and was responsible for overseeing the audits of clients in a variety of industries. She previously worked approximately two years with a local public accounting firm in Wisconsin. Bonnie’s experience also includes approximately five years in industry accounting positions where in addition to accounting and financial reporting responsibilities her duties included preparation for the annual audit and coordination with the external auditors. Kurt R. Coburn, Tax Senior Manager, rejoined Blazek & Vetterling in 2017 after three years at Deloitte; working first in the Private Wealth tax practice and later joining the Estate, Gift, Trust and Charitable division of Deloitte’s Washington National Tax practice as part of the Management Development Program. At Deloitte, Mr. Coburn served clients ranging from passthroughs, high net worth individuals, estates and trusts to nonprofit hospitals and private foundations. In addition to client services, he helped develop internal trainings, models and checklists on tax issues such as: charitable contribution substantiation, tax reform for individuals and the proposed regulations on IRC section 2704. 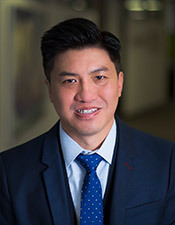 He specialized in charitable and estate tax research, facilitated at national trainings and is a contributor to the estate tax charitable deduction section of the update to BNA Portfolio 822-3rd: Estate, Gift, and Generation-Skipping Tax Returns and Audits (2017). Mr. Coburn first joined Blazek & Vetterling in 2012 with a focus on serving private foundations and public charities, providing compliance and consulting service in the areas of unrelated business taxable income, excise tax on investment income, expenditure requirements, reporting for alternative investments, applications for federal tax exemption and state and local tax issues. He received a B.A. in History from the University of Texas at Austin and a Masters in Accountancy from the University of Saint Thomas in Houston. He is a certified public accountant in Texas and member of the AICPA. Terry joined Blazek & Vetterling in 1998 and became a partner of the firm in January 2002. 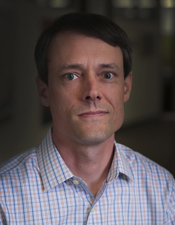 He began his accounting career with Deloitte, Haskins, & Sells where he spent eleven years in varied client assignments including nonprofit organizations, local governmental entities, and multi‐national corporations. 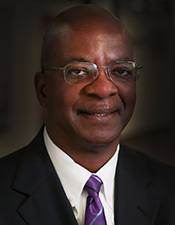 During his tenure with Deloitte, Terry served as senior manager on the audits of Houston Independent School District, Housing Authority of the City of Houston, and Humble Independent School District. Terry completed a two‐year appointment in Deloitte’s national office where he assisted several committees of the Auditing Standards Board. Terry also assisted in establishing unified firm policies regarding auditing policies and practices when Deloitte Haskins & Sells and Touche Ross merged to form Deloitte & Touche. Terry subsequently worked for eight years at Neighborhood Centers Inc. From 1995 through 1998, he was Vice President of Finance and Administration and was responsible for the oversight of the finance, human resources, management information systems, and facilities management components of the agency. Juliane joined Blazek & Vetterling in 2017 after approximately 20 years in public accounting with two Houston area accounting firms where she specialized in audits of nonprofit organizations. After approximately 15 years at Harper & Pearson where she progressed from Staff Auditor to Audit Manager, she spent approximately 6 years at LaPorte CPA’s, where she was an Audit Senior Manager. Juliane’s clients have included churches, private foundations, endowment funds, private schools, arts organizations, and social service agencies. Juliane has volunteered with the Houston Chapter of the Texas Society of Certified Public Accountants and she has served on the City of LaPorte’s Employee and Insurance Benefits Committee. Jeanne joined Blazek & Vetterling in 2003 after spending approximately seven years with Ernst & Young in their audit services department where she was an audit manager overseeing the audits of a variety of clients including a concentration in employee benefit plans and financial services. Jeanne previously worked approximately five years as a bank officer, trust officer, and controller. In addition to her accounting, financial reporting, internal control, and internal auditing responsibilities in these positions, her duties included preparation for the annual audit and coordination with the external auditors. Laurie joined Blazek & Vetterling in 2003 and became a partner of the firm in 2008. She began her accounting career with Ernst & Young where she spent eight years serving healthcare and nonprofit clients. In that capacity she participated in the audits of hospitals, long‐term care organizations, independent practice associations, and other healthcare related organizations. She subsequently spent six years in healthcare management. 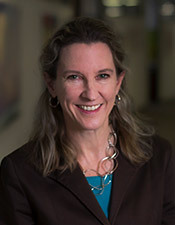 Her healthcare management experience includes approximately 2 years as Chief Financial Officer of PowerBrief, Inc. and its predecessor Integrated Orthopaedics and 4 years as Controller of Memorial Sisters of Charity Health Plans. In addition to the overall direction and operations of the finance departments, she was responsible for financial reporting, regulatory reporting, and compliance monitoring. Mimi joined Blazek & Vetterling in 1994 and became a partner of the firm in 2007. She began her accounting career with PriceWaterhouseCoopers where she spent approximately five years and was an audit manager serving a variety of clients including nonprofit organizations. 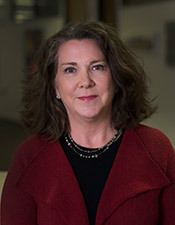 One of her principal assignments at PriceWaterhouseCoopers was the Compaq Computer Corporation audit. Before joining PriceWaterhouseCoopers, Mimi spent three years as business manager and controller of the University of St. Thomas, where she supervised the accounting and personnel functions. Mimi teaches in the Rice University Continuing Studies Nonprofit Finance Certificate Program. 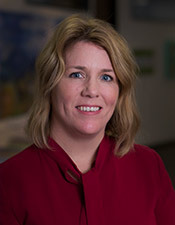 Tami joined Blazek & Vetterling in 2004. 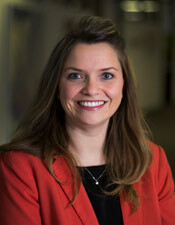 She has significant single audit experience and is one of our designated specialists in that area. This includes audits in accordance with generally accepted auditing standards and government auditing standards. She is an expert on compliance requirements of federal funding, such as eligibility, allowable costs, procurement, and administrative requirements. She has served as an instructor for our in‐house continuing professional education courses on single audits and government auditing standards. She was previously the sole proprietor of an accounting and auditing practice specializing in audits of governmental entities. Tami was an audit manager with a local accounting firm in Louisiana that specialized in governmental audits. She also served as Controller of a construction company for approximately four years and was responsible for accounting, financial reporting, variance analysis, job costing, and project reporting. Christine joined Blazek & Vetterling in 2009. She has significant experience auditing non‐ profit organizations. Christine was previously the owner and operator of four school photography franchises. She also spent approximately four years with the Redstone Companies where her position included interim CFO with responsibilities for several of their affiliated entities and internal auditing responsibilities. Christine has significant experience with the issues faced by private foundations, such as auditing and accounting for investments, grants, and income and excise taxes. She has extensive experience auditing investments ranging from publicly traded equity portfolios to private equity and other complex investment structures. She began her accounting career at Deloitte & Touche, where she spent approximately twelve years and progressed to senior manager. Donna joined Blazek & Vetterling in 2008 when she moved to Houston from New York. 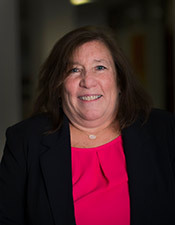 She spent approximately 19 years in the tax and audit services departments of J. H. Cohn, LLP, Charles A. Barragato & Co., LLP, and Gargiulo Evola LLP where she worked with a diverse clientele, including high net‐worth individuals and affluent multi‐ generational families, construction contractors, real estate investors and physicians. 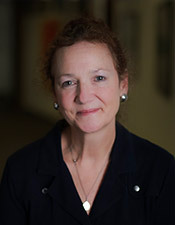 Barbara joined Blazek & Vetterling in 2002. She began her career with the audit department of Coopers & Lybrand in Dallas. After a sabbatical to care for her sons, she returned to public practice in 1995. She focused on individual, corporate, and partnership taxation with Van Schoneveld & Company in Denver, Colorado and Wood, Hearn & McClanahan in Dallas prior to joining Blazek & Vetterling to focus on tax‐exempt organizations. Barbara’s clients include private foundations, private schools, arts organizations, social service agencies, and employee benefit plans. Barbara’s specialization in nonprofit organizations has brought her significant experience with many tax matters affecting nonprofits, preparing and filing annual 990’s, filing for initial exempt status determination, unrelated business income tax, and excise tax. Barbara is a member of the Finance Committee at Parkway United Methodist Church in Sugar Land, Texas. Ann joined Blazek & Vetterling in 2007 after spending several years as a controller in the private industry where she was responsible for maintaining accounting and financial records as well as providing human resources and benefits functions. Her financial experience includes design and oversight of accounting systems, management of treasury and corporate debt functions, and management of cash flows, budgeting, and financial reporting. Ann was previously an audit manager with Coopers and Lybrand. She received her Bachelor of Science degree from Purdue University in 1975. She is a member of the American Institute of Certified Public Accountants. Ann is one of Blazek & Vetterling’s healthcare and governmental specialists, and she has extensive experience with the issues facing these organizations. Erica joined Blazek & Vetterling in 2001 after spending about one year with Project Grad where she was responsible for day‐to‐day financial operations of a $10 million budget providing comprehensive educational reform services to Houston inner‐city schools. Erica previously served as field finance officer to the UN Relief and Works Agency in Amman, Jordan and as regional controller and financial officer for the International Rescue Committee in New York, Sudan and Kenya. 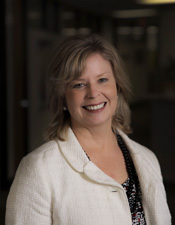 Erica began her accounting career with Ernst & Young in Houston in 1986. Erica serves a wide variety of nonprofit clients, including social service agencies, schools, churches and religious organizations, museums and arts organizations, and foundations. Lou Ann joined Blazek & Vetterling in 2009 after spending 20 years with Ernst & Young in their audit services department where she was a senior manager overseeing financial services and entrepreneurial services clients including a concentration in employee benefit plans. Lou Ann is an expert on the issues faced by employee benefit plans, including operational and accounting matters and regulatory requirements. She has extensive experience managing audits of a diverse range of plan types, including defined contribution, defined benefit, and health and welfare. Lou Ann serves on the Board of Directors and as treasurer of Friends of Montessori and previously served on the Board of Trustees of Small Steps Nurturing Center. 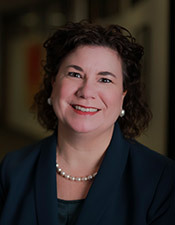 Beth Thurman joined Blazek & Vetterling in 2009. Her clients include private foundations and educational institutions where she utilizes her extensive experience auditing investments ranging from publicly traded equity portfolios to private equity and other complex investment structures. Additionally, Beth’s clients include art organizations, social service agencies and healthcare entities. Beth is active with the Houston Chapter of CPAs where she serves on various committees. Beth previously volunteered by serving on the College Advisory Board of Louisiana Scholars’ College. Caroline is a founding partner of Blazek & Vetterling and serves as managing partner of the audit department. 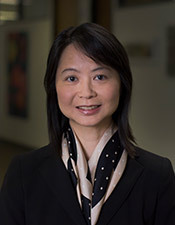 She began her public accounting career as a tax specialist with a local Houston accounting firm and subsequently joined Deloitte as a consultant in their small business services department. Ms. Vetterling spent fourteen years with Deloitte, the last five of which were as an audit partner, serving a wide variety of clients. 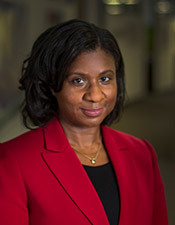 She also served the firm as a national accounting and auditing specialist in both nonprofit organizations and in banking, served on the national quality review team, and headed the Houston office computer services group. Caroline has also served on the Board of Directors of Legend Bank, been a guest lecturer at the University of Texas at Austin Graduate School, and presented seminars for the Houston Chapter of CPAs, Texas Accountants and Lawyers for the Arts, Texas Association of School Business Officials, Association of Christian Schools, Independent School Association of the Southwest, University of Houston Annual Powertools for Nonprofits Conference, and the United Way of Greater Houston. Caroline is a 2001 fellow of the American Leadership Forum. 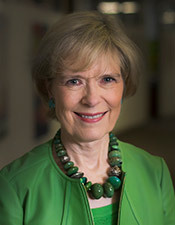 She was honored in 2000 with the Humanitarian of the Year award from the NCCJ, was named a 1999 Woman on the Move by Texas Executive Women, and was a 1984 electee to Leadership Texas. 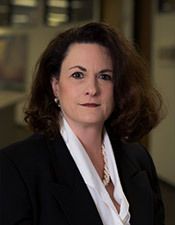 Kay joined Blazek & Vetterling in 1994 and became a partner of the firm in 2002. Her clients include schools, churches, environmental organizations, private foundations, social service agencies, and museums. In addition to expertise in accounting and auditing standards as established by the Financial Accounting Standards Board and the American Institute of Certified Public Accountants, she is an authority on government auditing standards of the federal government and its various agencies. She began her public accounting career with Ernst & Young where she spent five years and was an audit manager. She specialized in accounting and auditing for nonprofit organizations and healthcare providers, including some of the largest hospitals in Houston. Kay is responsible for numerous private foundation clients, offering them her expertise in investments, grants, and financial reporting. 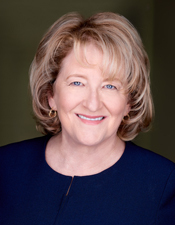 Kay has presented seminars on nonprofit accounting for the United Way of Greater Houston and Rice Leadership Institute for Nonprofit Executives program, the National Society of Fundraising Executives, the UT Law Nonprofit Organizations Institute, and the Houston Chapter of Certified Public Accountants.